Matzah Baker and Model Seder Escape from Egypt Purim Carnival! Kosher Cupcake War! Torah Factory! Rube Goldberg Tzedakah Challenge and More! Ceramic Mezuza and more! 1st Day! Rosh Hashana Fair! Graduation and Mother's day! Matzah Bakery and Model Seder! Tu Bshvat with Grandparents Chanukah Wonderland and Snow globe making! Another Great Day at HS! Visit with scribe! Sukkos fun! Shofar Factory! Rosh Hashana Fair! Sukkah Building & Breakfast in the Sukkah Another Great Day At CHS! LED, Clothespins, Emoji, Sand and Tile Menorahs! Olive Press! Kosherfest! Purim Palooza! Passover Craft! CTeen Denver Bar/Bat Mitzvah eXperience Hebrew School Shalom Baby! Free Hebrew School Family Shabbat! Register Pics Past Events Jewish HQ! Crime and Consequence Read Hebrew Crash Course Weekly Classes Tefillin Club Online Learning Library Rosh Chodesh Society What's on the Menu? 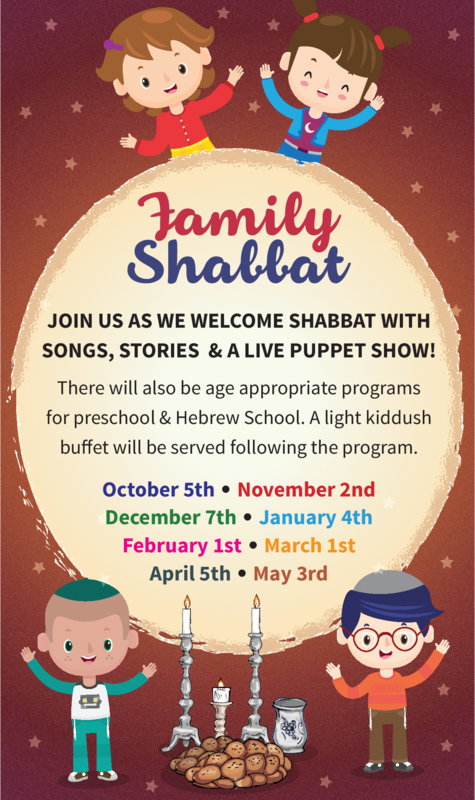 Share the beauty and joy of Shabbat with your children as Shabbat comes alive with a Torah puppet show, Jewish birthday celebrations, games and more! Sing along - with your child to Shabbat melodies, followed by a kid friendly Shabbat dinner. First Friday of every month, 6 - 7 pm. Divided in age appropriate groups. All are welcome, No fee. Reservations are suggested. 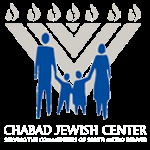 Upcoming Family Shabbat: May 3rd. This program has no fee, however your donation would be greatly appreciated.